Check out this great cyber deal from Aer Lingus. 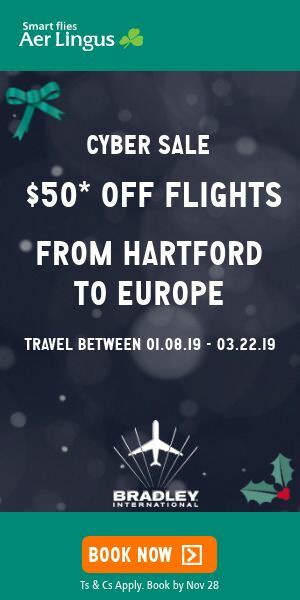 $50 off roundtrip flights from Bradley International Airport to Europe. Book by Nov 28 at aerlingus.com. T&C’s apply.